1958-1959 year in review featuring armed forces build up, speeches by Dwight D. Eisenhower, and the Quemoy-Matsu crisis. 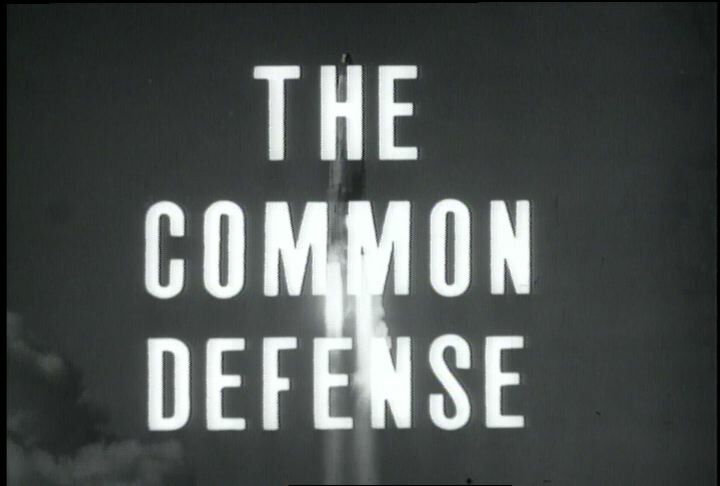 Chicago: “War and Peace in the Nuclear Age; Bigger Bang for the Buck, A; The Common Defense (Part 1 of 3),” 01/01/1958, WGBH Media Library & Archives, accessed April 21, 2019, http://openvault.wgbh.org/catalog/V_F8E1912277E640EF8E5F5EAEA2CD0316. MLA: “War and Peace in the Nuclear Age; Bigger Bang for the Buck, A; The Common Defense (Part 1 of 3).” 01/01/1958. WGBH Media Library & Archives. Web. April 21, 2019. <http://openvault.wgbh.org/catalog/V_F8E1912277E640EF8E5F5EAEA2CD0316>.